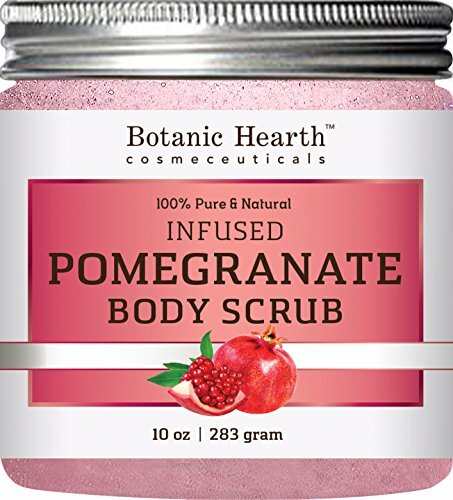 Botanic Hearth Super Pomegranate Infused Body Scrub, a superfood scrub that has incredible antioxidant, anti-microbial, anti-inflammatory and anti-aging properties. It naturally encourages radiant skin. The organic pomegranate incorporated into this scrub can help with dry skin, age spots, hyperpigmentation, acne flare-ups and acne scars. If you have any questions about this product by Botanic Hearth, contact us by completing and submitting the form below. If you are looking for a specif part number, please include it with your message.